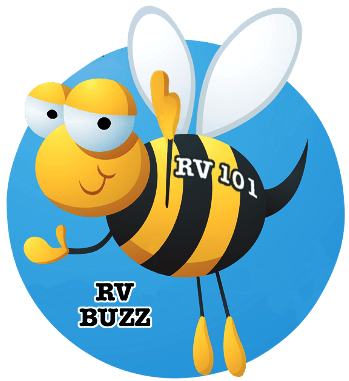 Is it ok to leave my RV plugged in when we are not using it? This could be for several months at a time, and should I start the engine every week or so? Leaving the unit plugged in depends on what type of battery charger your RV converter has. If it is a three-stage charger, with a maintenance or float stage, its okay to leave it plugged in. The three stage charger is designed to prevent the batteries from being overcharged, but if it’s a lead acid battery I recommend you check the water levels periodically if you do leave the unit plugged in. 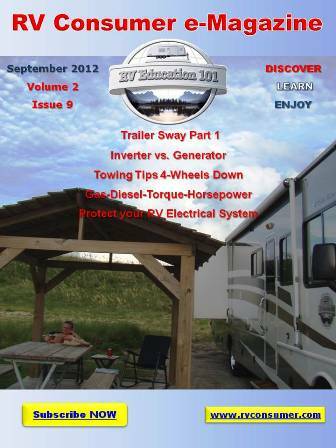 Check your RV owner’s manual for information on the converter. If it’s not a three-stage charger you can plug the unit in once a month for about 8 hours to charge the battery, or use a product like the Battery Minder to keep the batteries charged while in storage. As for your second question I always add a fuel preservative to the fuel tank when our unit will sit idle for more than a couple months at a time. I run the engine and the generator long enough for the preservative to get through the fuel system. But I still think it’s good to start and run the engine and generator at least monthly when in storage. It allows the oil to lubricate the dry components of the engine. When you exercise the generator run it with at least a half- rated load on it and try to run it for at least an hour (the longer the better). Moisture build-up can cause damage to your generator. When you exercise your generator it heats up the generator windings and eliminates this moisture build-up. This monthly exercise regime also lubricates all of the engine seals and components and helps to prevent carbon build up. Look in your generator owner’s manual for load ratings.